Take your boy from disorganized to organized these 5 easy tips to help your boy get organized. These tips work and they are very easy to implement. Helping your boy get organized is going to have a big impact on his life. It will help a lot with your boy’s learning life and one of the best results will be that he will be able to achieve his goals. Let’s face it, being organized isn’t always the easiest thing to do on a regular basis. Many boys I know are not naturally great at it. The good thing is that this is definitely something that can be learned. Does he tend to lose things? Is he always late or can’t remember where he has to be on a certain afternoon? Does he miss deadlines and end up handing things in late? Does he lean toward being, um, a bit messy? No worries. You can easily help him. Really! But, and here is the kicker, he will have to want to change what he is doing. Helping him just because you think he should be more organized isn’t likely to work. Make sure he sees the value in being organized and how it will help him. That will make him more likely to want to try new ideas which we will get to in just a moment. Start them out with some cool supplies! 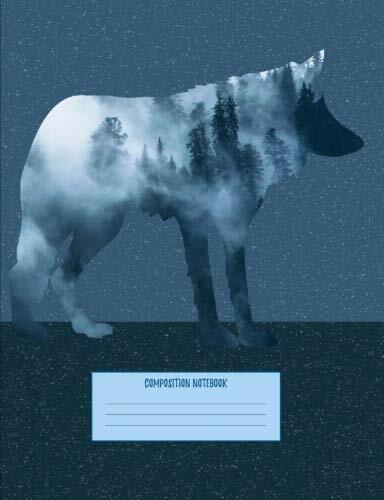 This Wolf composition notebook works great for lists. 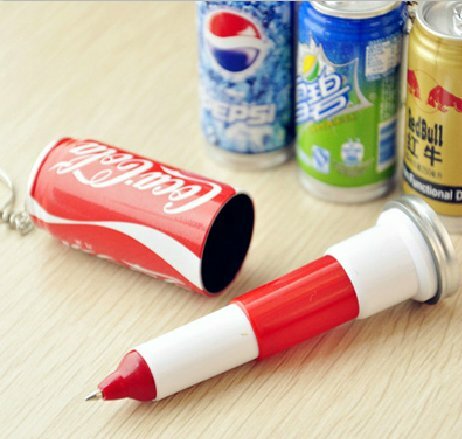 Throw in some neat, and totally underpriced, can pens to write with. A paper calendar is something you really need. 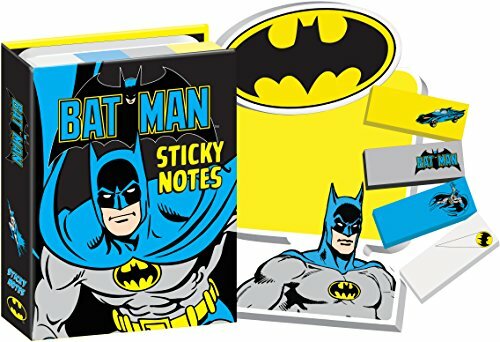 We use sticky notes and these Batman ones are just the ticket! I am a bit fan of color coding and this gel pen set is awesome. There are a lot of colors and they last. A. If you are rushing around and are always late, or if you have a big mess to plow through in order to find your keys, you are setting an example – whether you like it or not. Try to make some changes if need be. B. Check out my friend Alli’s site. She specializes in helping people move from scattered to organized in an easy way. You will love her printables and excellent advice. C. If you are already pretty organized, then explain what you are doing to your boy. For example, say “I was able to find my keys quickly because I always keep them in the same spot.” Show what being organized looks like and explain how it helps you. 2. Help him make lists. A. Lists are wonderful and if you can get your boy in the habit of writing a list he will become a list maker and will have a much easier time being organized. B. Start slow. If he asks you to help him remember something have him write it down on a list (or help him out by writing it down for him.) Once he sees the value of lists he will want to start using them. C. We write lists for everything from what we want to do during the day, to things that are due on certain dates, to lists of books we want to read and so on. This cool notebook is perfect for getting them interested. D. We go with paper for my son, but I also use Trello which is free. Show your boy the organizational tool options and let him choose. 3. Organize one thing and keep it organized. A. Together, pick a problem area and have him concentrate on that and that alone. Help him with ideas for organizing that one thing. Perhaps it is homework, or LEGO (see ways to organize LEGO.) Whatever it may be, pick it and stick with it. B. Don’t do a bunch of things at once. Get used to having that one thing taken care of, see how well it works, and take what you learn from that experience and apply it to other areas. 4. Have him set some goals. A. You may wonder what goals have to do with being organized. Well, let me tell you that they are intricately connected. Once he has a life goal in mind, big or little, help him to organize his thoughts around how he is going to achieve the goal. B. Then have him make a list and mark down some deadlines on a calendar. This helps keep him organized and helps him move forward. A. Having a visual of when things are due, or what you have to do when, is really key. I like to have a paper calendar as well as a digital calendar (I use Google Calendar.) My son gets a neat calendar every year and he uses it. I wasn’t sure how well using a calendar was going to work, but it has made such a difference in how our days go that we will never turn back. B. Everything of importance is listed on the calendar. He can reference lists, and goals, as well as set deadlines on his calendar. C. It all works together and it all works really well. Work on getting yourself more organized (I guarantee you will be happy you did) and then help your boy do so as well. Being organized really does help you to succeed in many ways. People like to work with others who are organized and show up on time. It will help him feel more relaxed as he will know what he needs to get done. It helps him to achieve his goals. In the end it makes him have a better and more enjoyable life. 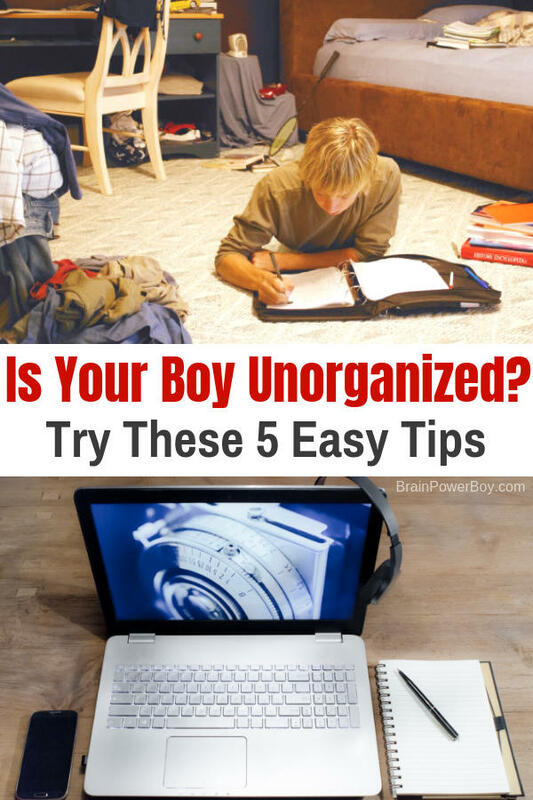 You really can take your boy from disorganized to organized with these 5 easy tips. I hope you will take the time needed to try to help your boy. You will be helping him develop a better way of doing things and it will help him live the life he wants to live. Share your organization tips or struggles below. I love this post. It’s much-needed advice. I am trying to get my 16-year-old son to see the positives about being organized. I will suggest these to him. Thank you much Laura. I appreciate your comment. I hope it will help him. These are such wonderful tips Sheila! I can’t wait to start implementing them with my boys. I’ve found that letting them choose how to organize their things really helps them stay organized too. It might not make any sense to me, but as long as they know where their things are and where to put them back, it’s all good. Oh thank you Alli. Coming from you that means a lot! That is a great tip. What works for one person doesn’t work for the other. You have to let them put their own systems in place.